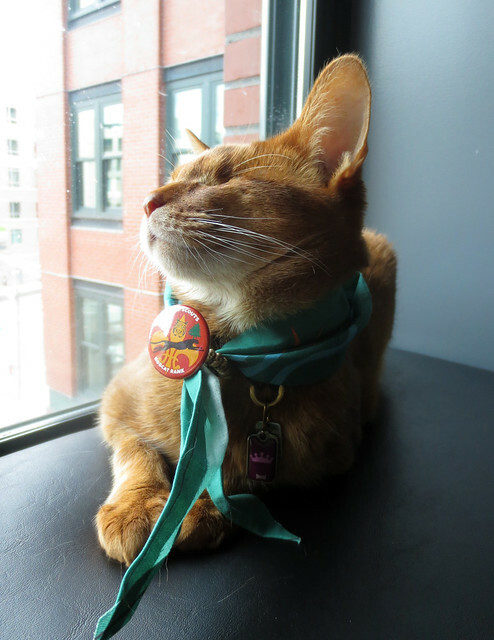 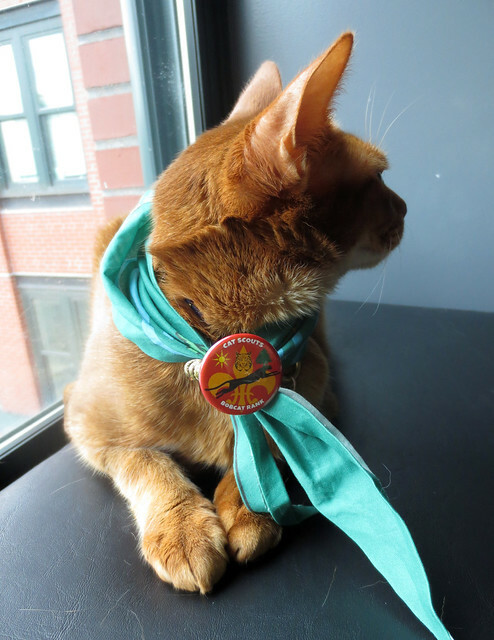 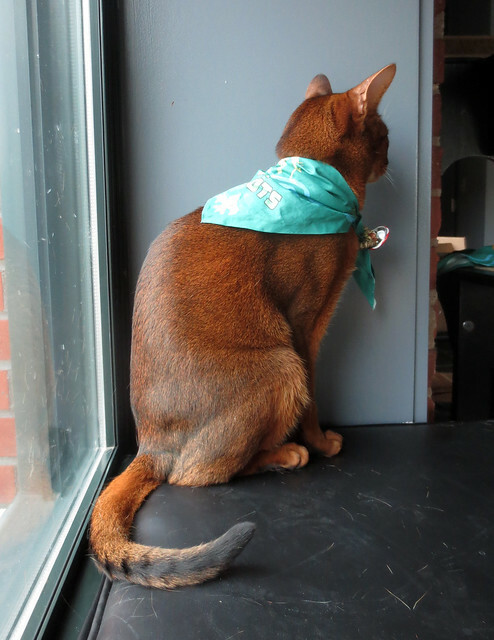 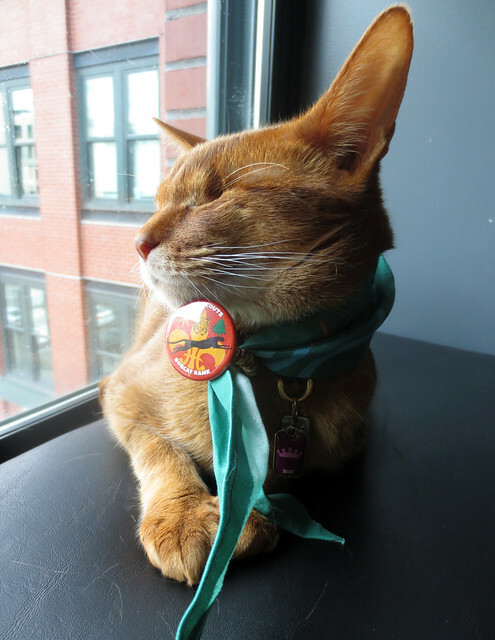 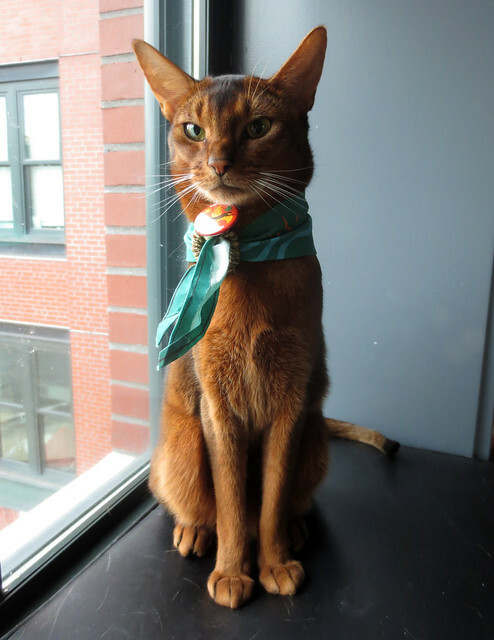 We haven’t been very active in the Cat Scouts recently, but we did just receive our very own custom neckerchiefs and woggles in the mail this week! 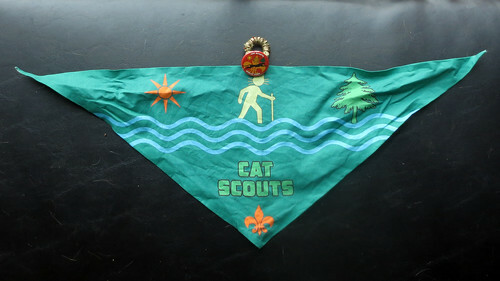 They’re quite well made, and of course include all the Cat Scout symbolism. 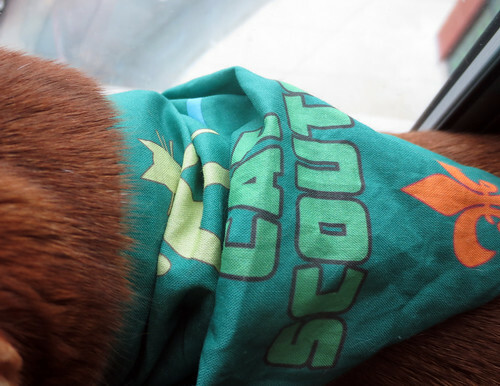 Here you see Scout Jacoby modelling his neckerchief. 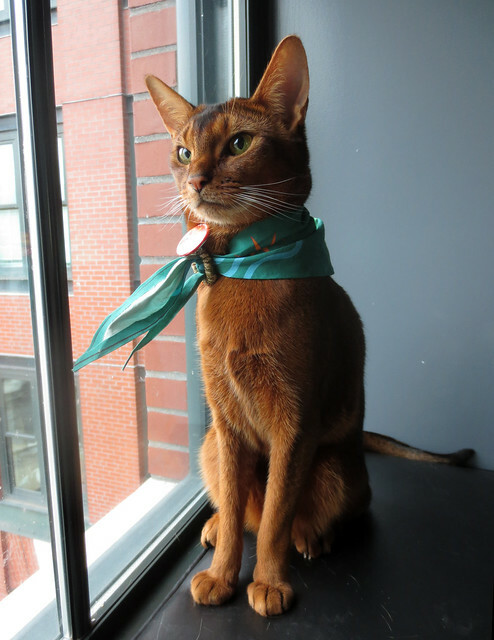 He’s such a good poser! 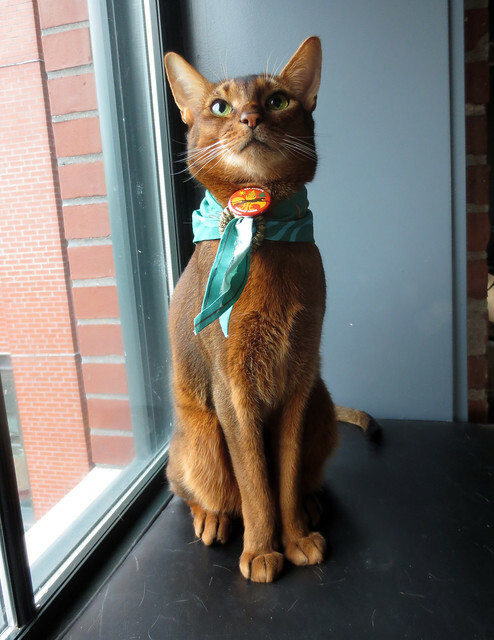 The green goes well with his fur, too. 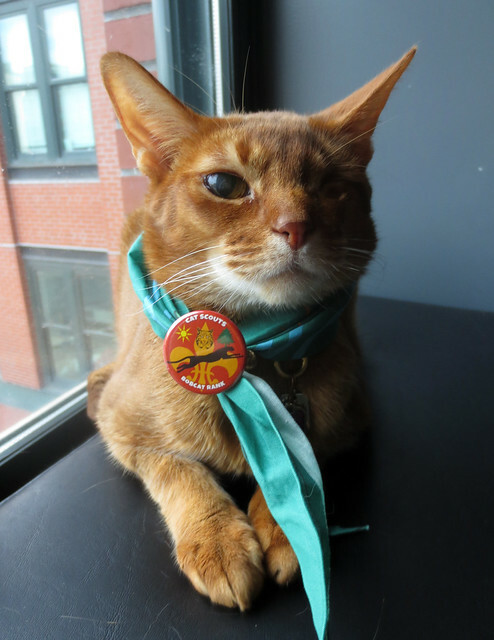 Angel proudly shows off her woggle, which includes her Bobcat rank badge. 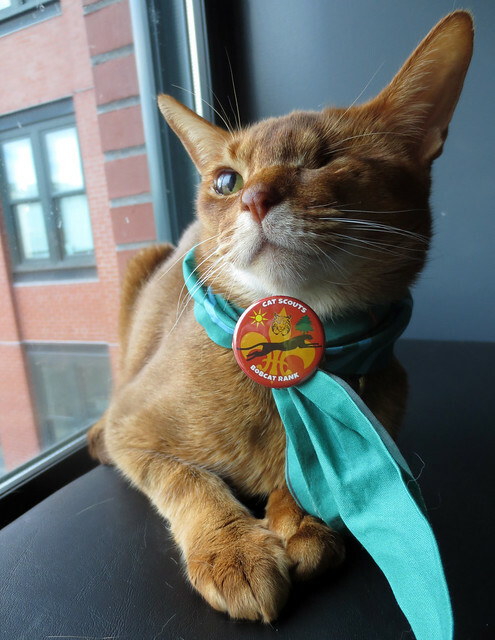 You don’t need two eyes to be a good scout! 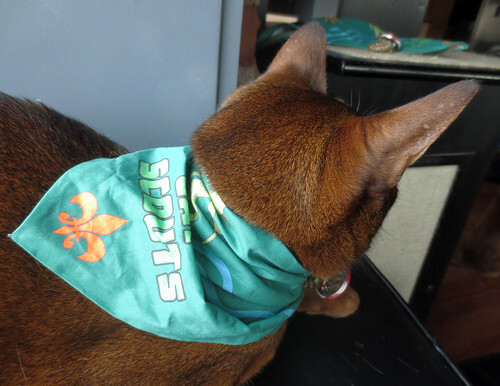 Angel also thinks the orange in the fleur-de-lis and on the Bobcat badge matches her fur much better than it does Jake’s.